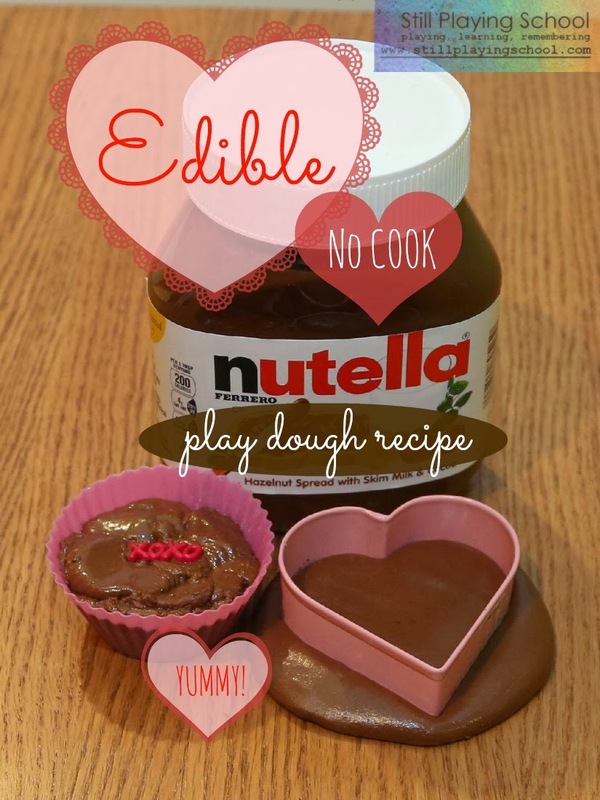 We created a recipe for our very own edible no cook Nutella play dough. 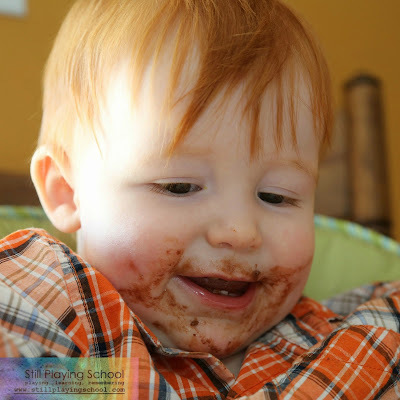 For as much as we love Nutella in our family we needed to find a way to play and learn with it, too! It smells lovely. It's silky smooth and easy to mold. When I told our preschooler that she could taste it, too she was thrilled! The recipe is simple and only two ingredients! The scent and taste make the dough a total sensory experience! She created a ton of delicious looking sweets for us to enjoy. She had a few tastes of the dough, but mostly enjoyed creating. 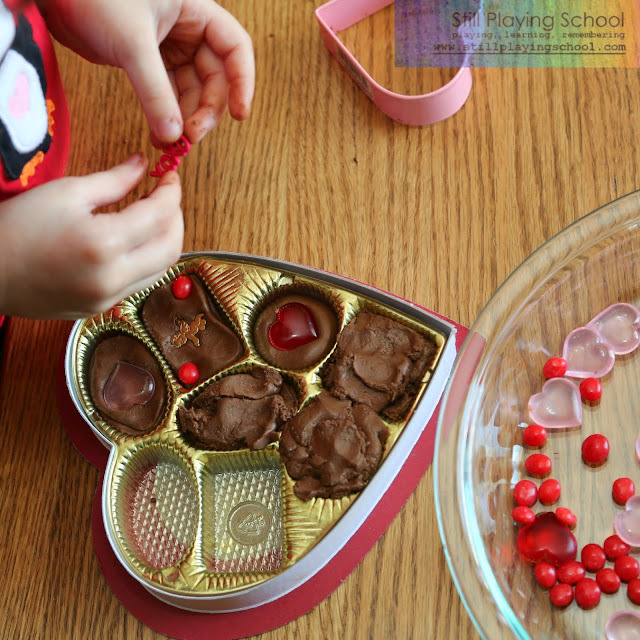 The Nutella play dough was perfect for rolling and other fine motor practice. I set up a Valentine's Day invitation to play. 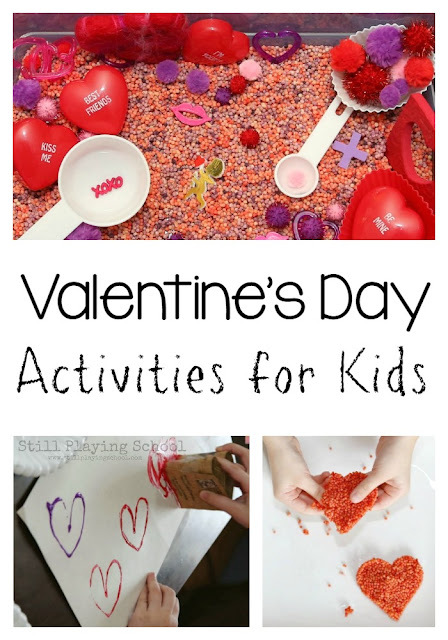 Browse all of our Valentine’s Day Activities for Kids! 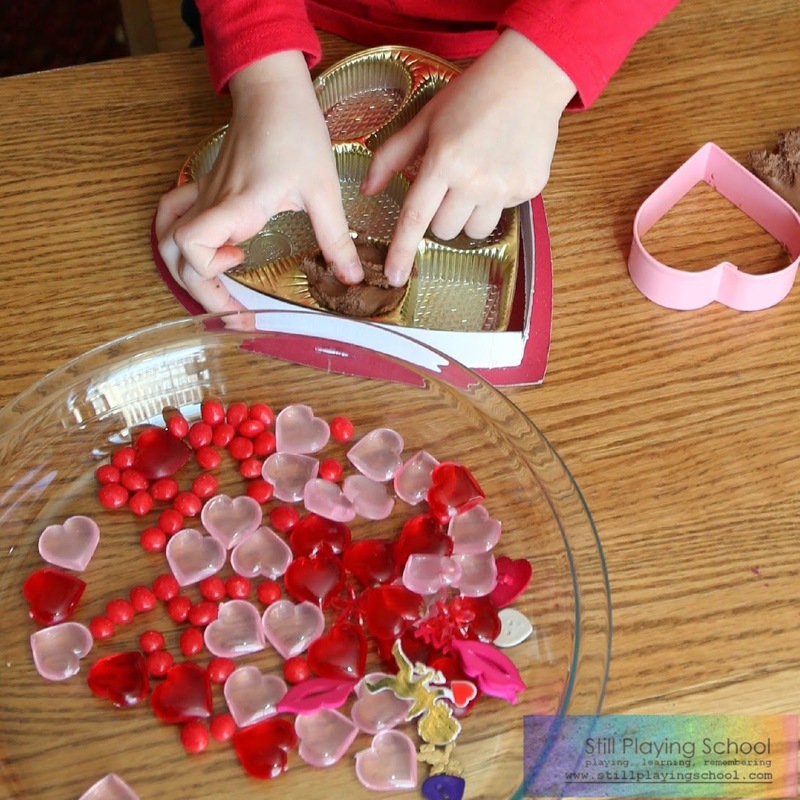 We had a heart shaped candy box, a heart cookie cutter, cinnamon candies, and plastic valentine themed decorations (which my preschooler knows not to eat, but she was also well supervised). 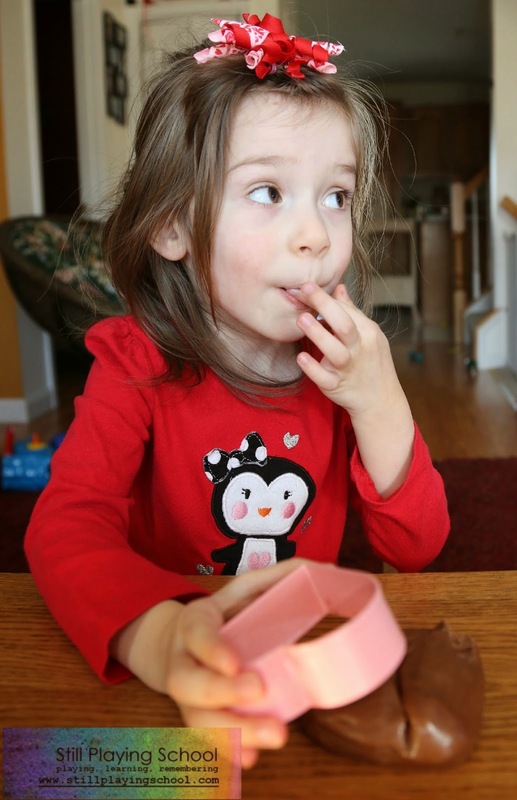 Since the play dough is edible my toddler could join in on the sensory and fine motor fun, too! This exploration entertained him the whole time his sister played. We used 1/2 cup of Nutella and 1/2 cup + 1 tablespoon of powdered (confectioners or icing) sugar. I began by stirring the ingredients together in a bowl, but as soon as a dough formed, I finished the mixing with my hands. Heeheehee that looks so fun! And delicious!! Love it! oh my! I think I may just need to pick up a jar of nutella and try this! Can you believe we've never tried nutella? I am literally drooling at the thought of this! This is probably the best use for Nutella that I've seen! what fun. I bet it tastes delicious. YUM! Great recipe! Can't wait to try it!! Oh, how fun!! Just pinned it to my play dough board. Thank you for sharing at Sharing Saturday! How did I miss this? What a GREAT idea! It's a no brainer for us, since daughter hates peanut butter. Nutella dough it is :) Great post! Can you add food coloring and.make it colorful? Probably not since the Nutella is already so dark in color. But if you try it, please let us know!